What to expect at MaryBill’s: This homey breakfast-and-lunch café serves traditional home-cooked American food, from omelets to sandwiches to entrees to pies. MaryBill’s is tucked away in the Elm Street annex of Eutaw Village shopping center. 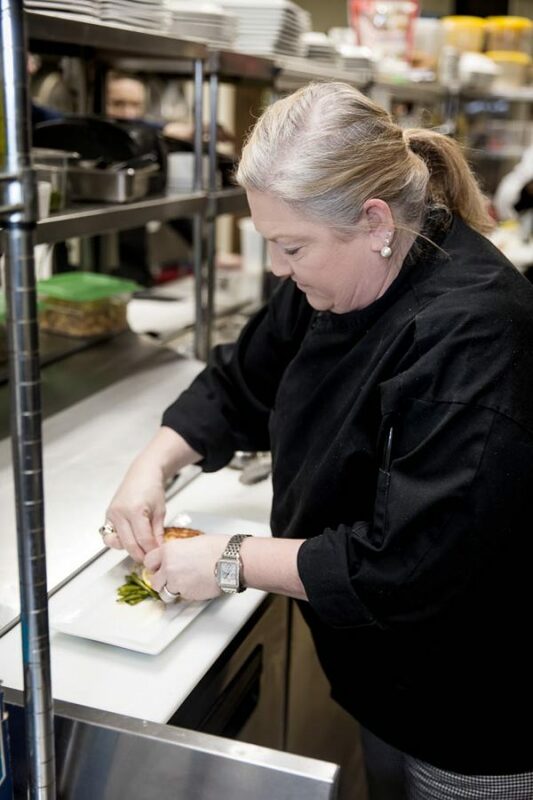 A little about her history in the kitchen: Saucier got her love for cooking from her mother. Saucier spent 27 years working for a chain restaurant in Cross Creek Mall. After it closed, she opened Mary-Do’s Deli on Skibo Road and ran it for about a decade before retiring. “But I couldn’t stay away,” she said. 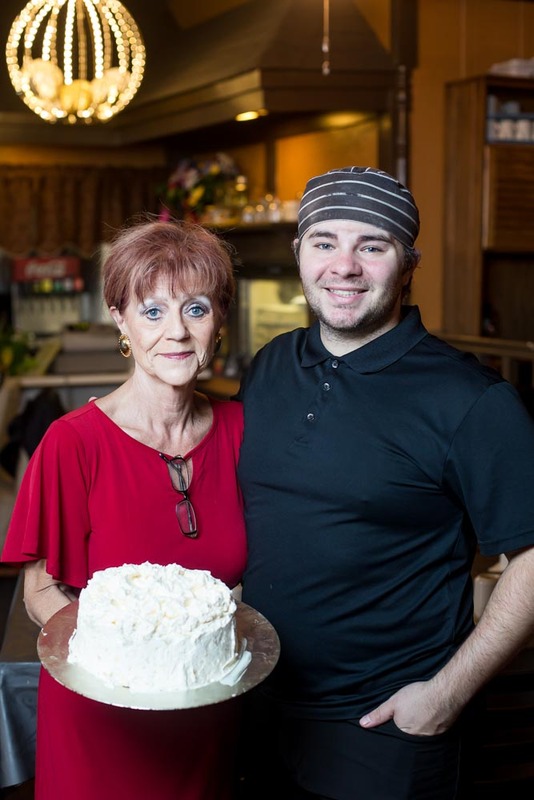 She opened MaryBill’s with Billy Parker 10 years ago and became full owner in 2011. “I love what I do,” she said. Saucier, a native of Montana, said her restaurant’s food has a southern flair even though she’s not a southerner. Most popular dish? Saucier said it’s probably her chicken marsala. What to expect at Hilltop House: Hilltop House serves French-influenced Southern cuisine in a fine-dining atmosphere in a 1908 Haymount home. Besides lunch and dinner, it’s known for its extensive Sunday brunch buffet. 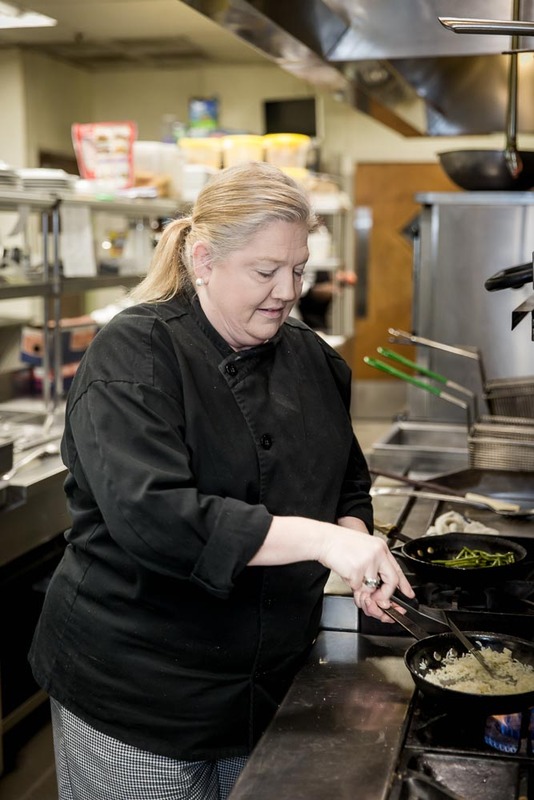 A little about her history in the kitchen: As a child, Shearin-Smith spent hours in her grandmother’s kitchen, absorbing the ways of down-home southern cooking. She later realized it wasn’t so different in purpose from classic French cooking. In both situations, she said, cooks take the food that is available – sometimes scraps or inexpensive cuts or types of meat – and find ways to make it delicious. Shearin-Smith started in the food business about 22 years ago, selling box lunches made at her house. She then ran a deli called What’s For Lunch? and, in 2006, entered the world of fine dining by buying Hilltop House. The restaurant’s dishes change with the availability of fresh foods and can range from salmon en croute to Shearin-Smith’s grandmother’s corn pudding. “I’ve taken what I’ve learned and elevated it to new heights,” she said. Cooking tip: One of Shearin-Smith’s go-to ingredients is roux, an equal-parts mixture of flour and fat that’s a classic French and southern-cooking thickening agent in soups and sauces. But roux is a no-go for people with gluten sensitivity or celiac disease. For them, Shearin-Smith suggests thickening soups and sauces with a cornstarch slurry, made of equal parts of cornstarch and cold water and whisked together until smooth. “It’s gluten-free and it doesn’t change the taste at all,” Shearin-Smith said. Most popular dish? It depends on the menu. Salmon en croute is always popular when it’s available, as is Chilean sea bass, Shearin-Smith said. Crab cakes are also popular. Will you share a recipe? Shearin-Smith said she would but she doesn’t use exact measurements in her dishes, instead adjusting proportions by taste. What to expect at Sherefé: This downtown restaurant, whose name means “Cheers!” in Turkish, serves upscale Mediterranean fare in an elegant setting. In addition to lunch and dinner, patrons can be entertained on Fourth Fridays and special occasions by live music and belly dancers. 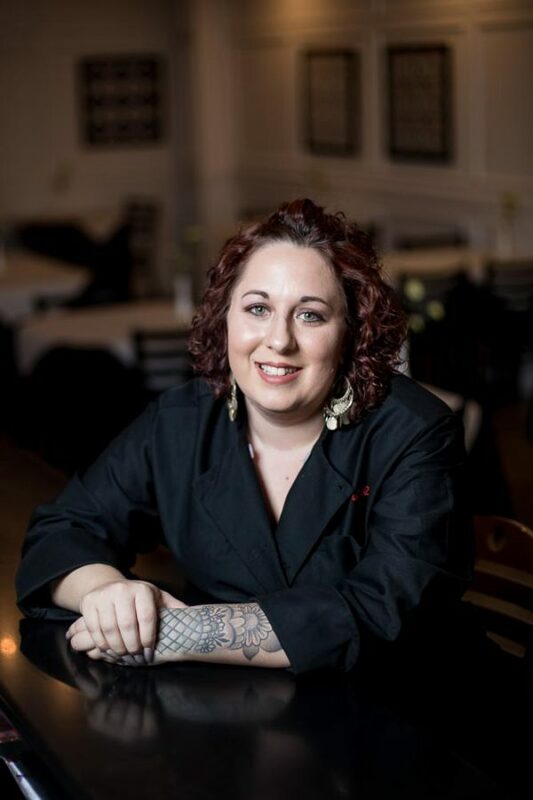 A little about her history in the kitchen: Erin Somar was 9 when she started absorbing the rhythms and rules of the restaurant business. That’s when her father, Mustafa Somar, started Sherefé Mediterranean Grill on Ramsey Street and she spent plenty of time there. 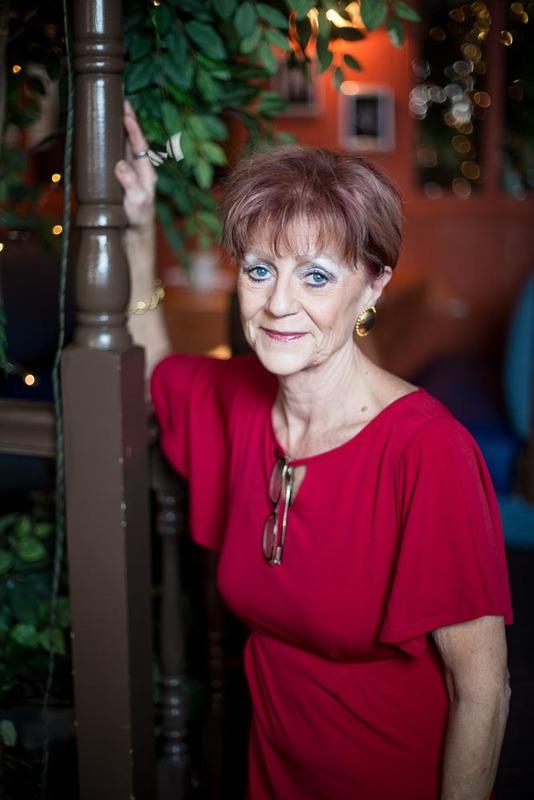 At age 17, she started working at the restaurant, which later consolidated at its current downtown location. 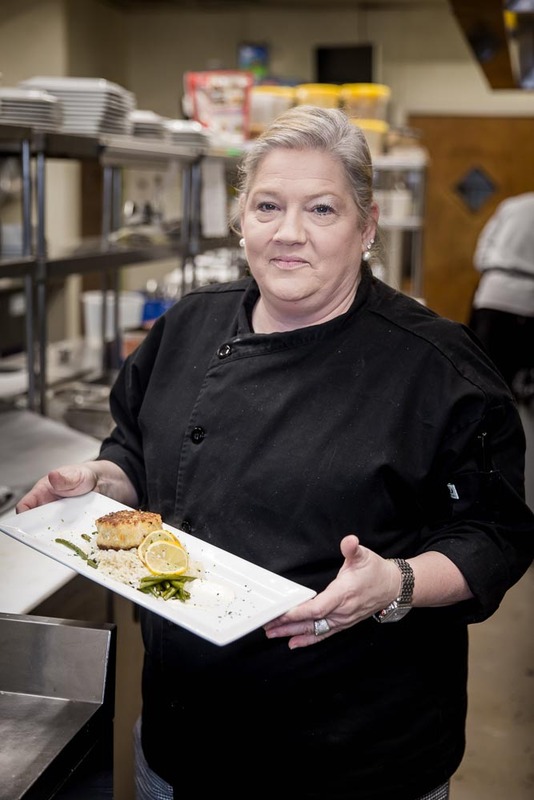 She learned to cook all of the restaurant’s dishes expertly and how to run the business. That’s come in handy since she now runs Sherefé. Her father comes in sometimes but is focused on opening a new restaurant on Skibo Road called Baby Garlic. Erin Somar leaves most of the cooking these days to Sherefé’s current head chef but can step into any role in the kitchen whenever needed. She said she loves to see customers leave happy. Will you share a recipe? “Scallops are one of my favorite things to cook, especially the ones we have at Sherefé,” Somar said. “They’re huge; people’s reactions to seeing that plate makes the occasional burn well worth it.” See Somar’s recipe for scallops and risotto at the end of this article. 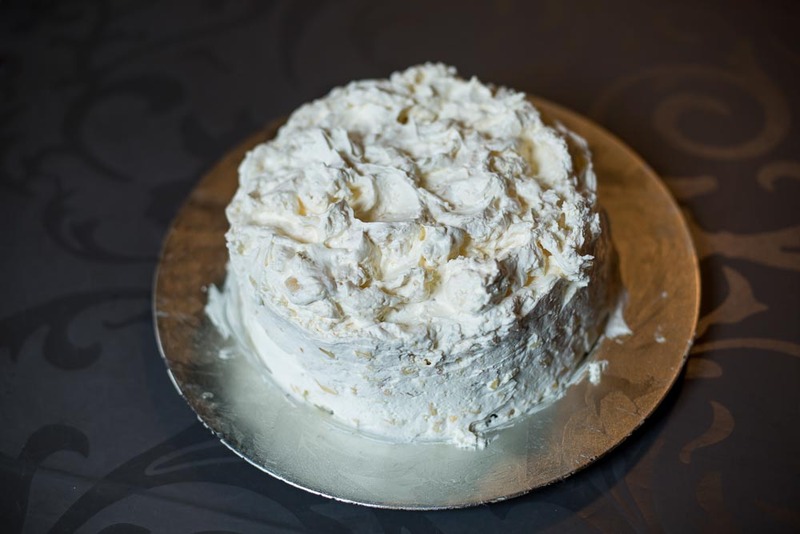 What to expect at Marci’s Cakes and Bakes: Just as the name implies, Marci’s Cakes and Bakes is a paradise for anyone harboring a sweet tooth. 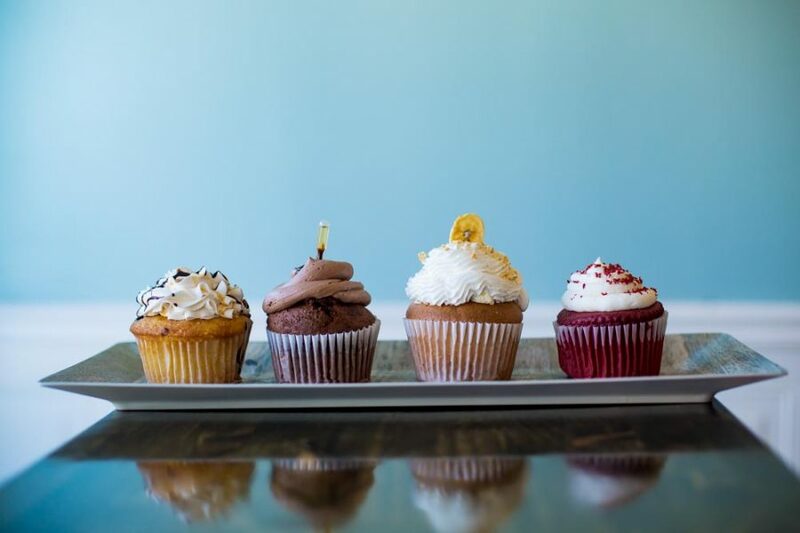 The bakery has been operating out of downtown Hope Mills since 2015, and was opened by Mang, with the help of partners Luis and Edna Irizarry. A little about her history in the kitchen: “I am Italian, so I feel like I came out of the womb cooking, or at least eating,” Mang said. 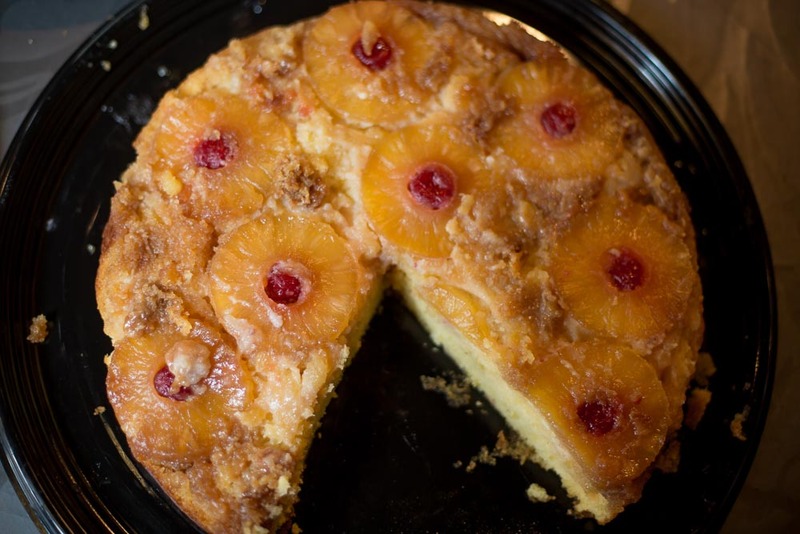 She learned how to bake two decades ago so she could make cakes for her children’s birthdays. Then she wanted to do more. “I found myself going to bakeries and asking all these questions and they would look at me like I am crazy,” she said. But she kept going – and kept baking. 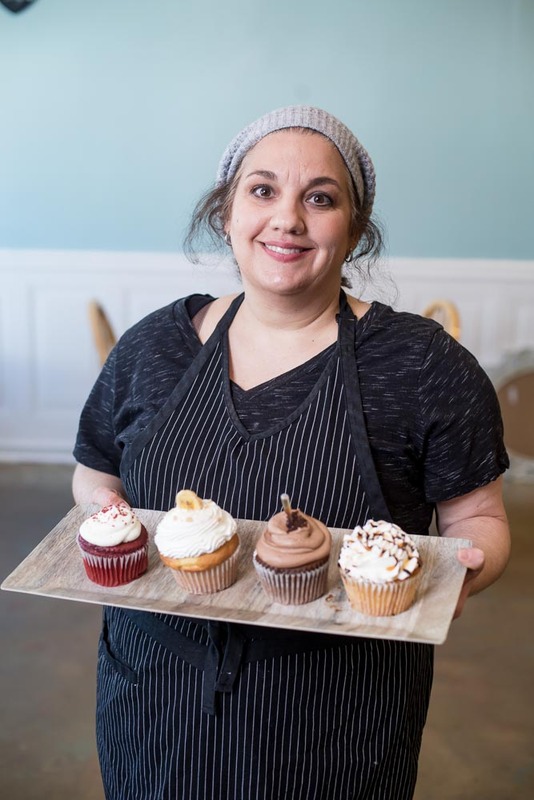 Three years ago, she decided to take her business out of her home and into a bakery on Trade Street in Hope Mills. Last October, she moved the bakery across the street into a space that’s three times bigger than its old home. Ironically, Mang said with a laugh, her now-grown kids are now sick of cake. They want – and get – cookies. Most popular dish? 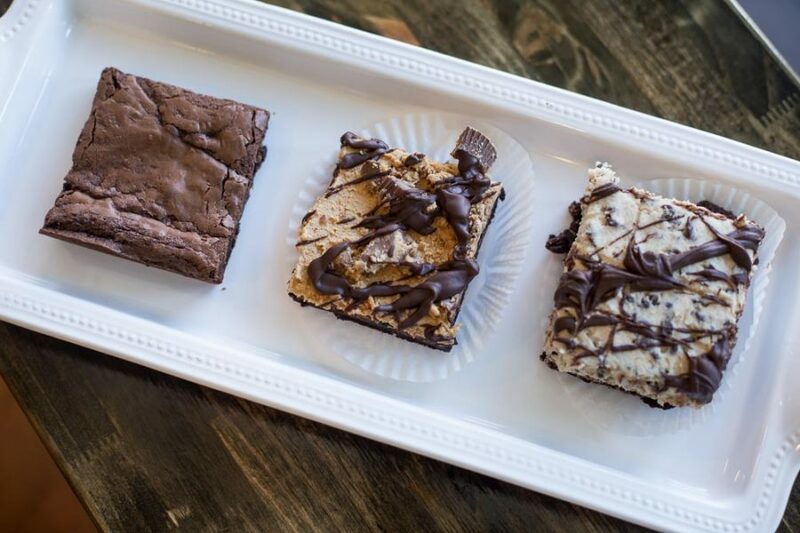 There are many, including pecan pie bars, cake pops, gluten-free mocha rolls and cookies. In a medium saucepan, heat oil over medium heat. Sauté onion until tender, about five minutes. Add rice; cook, stirring until well coated, 1-2 minutes. Add wine; cook, stirring until absorbed, about one minute. Season with salt. Gently heat broth; keep warm. Add about one cup of warm broth. Cook, stirring frequently, until absorbed. Continue adding broth, one cup at a time, stirring until most of the liquid has been absorbed, about 25 minutes total. The rice should be tender (but not mushy) and suspended in liquid with the consistency of heavy cream. Add feta and tomatoes. Add the butter and oil to a 12- to 14-inch sauté pan on high heat. Salt and pepper the scallops. Once the fat begins to smoke, gently add the scallops, making sure they are not touching each other. Sear the scallops for one-and-a-half minutes on each side. The scallops should have a ¼-inch golden crust on each side while still being translucent in the center. 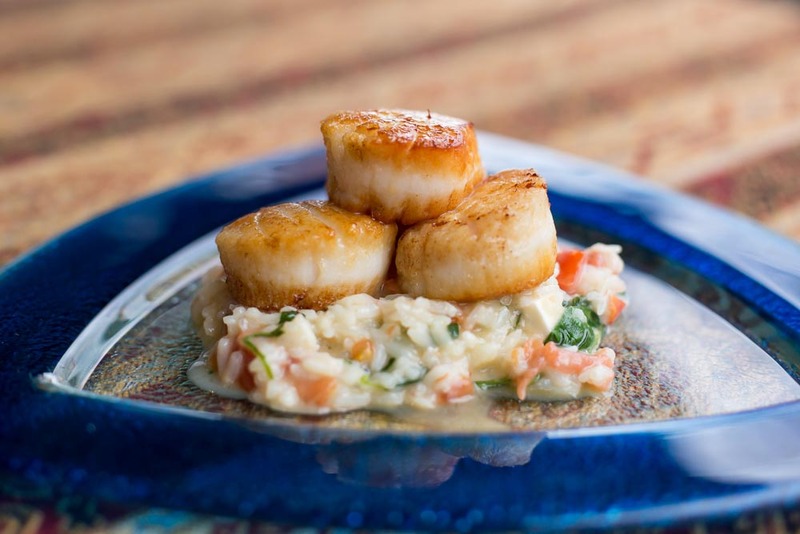 Serve scallops and risotto together. Enough for four people. Preheat oven to 375 degrees. Line baking sheets with parchment paper or grease lightly with vegetable oil or butter. Sift flour, baking soda, and salt together in a small bowl and set aside. Cream the butter, both sugars and the vanilla together in a medium-size bowl with mixer on medium speed until light and fluffy, 1½-2 minutes. Stop the mixer twice to scrape the bowl with a rubber spatula. Add the eggs to the butter mixture and beat on medium speed until they are blended, about 30 seconds. Scrape the bowl. Add the dry ingredients and mix on low speed for 15 seconds. Scrape the bowl. Add the chocolate chips and blend by hand until they are mixed in, about eight seconds. Drop the dough by heaping tablespoonfuls two inches apart onto the prepared baking sheets. Bake the cookies until the edges are dark golden and the center is light and slightly puffed up, 11-12 minutes. 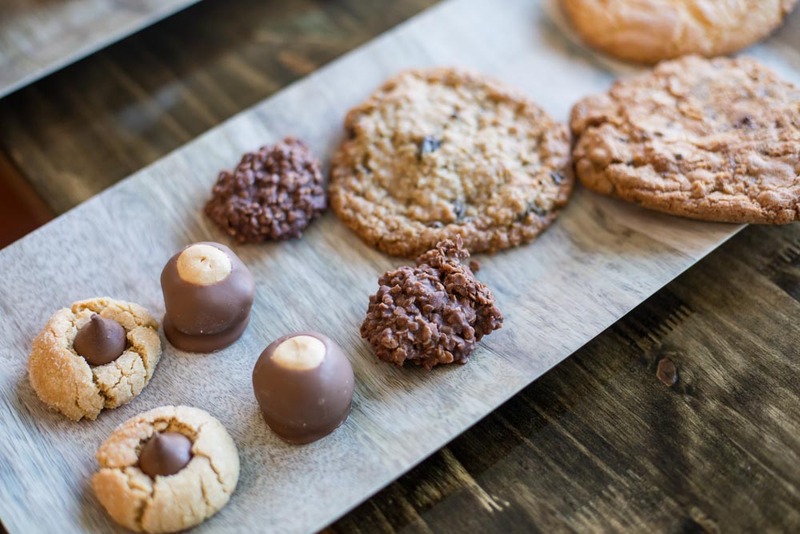 Remove the cookies from the oven and allow them to cool on the baking sheets. The cookies are best eaten the same day they are baked.